Are you concerned about the appearance of your misaligned teeth? Aside from aesthetics, cavities and other oral health problems can also arise from crooked teeth. Invisalign® is an excellent, inconspicuous solution for straightening teeth and correcting bite problems. However, understanding Invisalign® cost is necessary in deciding if the treatment is right for you. The helpful staff at Astoria Dental Group is always happy to work with you to determine the cost of your specific treatment. Dr. Carmen Every-Degel is a certified Invisalign® dentist, and can give you the beautiful, healthy smile that you want. To learn more about the cost of Invisalign, residents of Queens and throughout New York can contact our Manhattan-area dental practice for a consultation. Additional details can be discussed with Manhattan-area dentist Carmen Every-Degel of Astoria Dental Group. The cost of Invisalign® treatment is generally higher than that of traditional metal braces. However, adults tend to prefer Invisalign® due to the discreet clear aligners and convenience of being able to remove them. Inquire about various payment options and financing plans offered at our practice. Also, make sure to consult with your insurance company to determine if your coverage applies to any part of Invisalign® treatment cost. Invisalign® is an effective solution to most teeth alignment issues in teens and adults. Whether you have overcrowded, irregularly spaced or misaligned teeth - or more complicated matters such as an overbite, crossbite or underbite - Invisalign® can help. The clear, plastic aligners invisibly straighten teeth without disrupting your lifestyle. 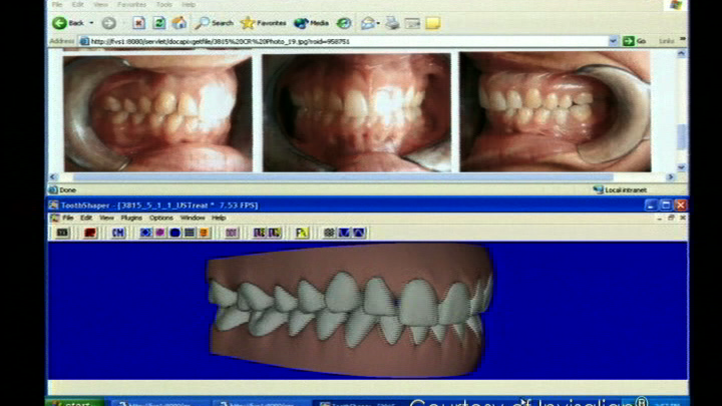 The removable molds can be taken out for eating, brushing and flossing. There is no reason why you shouldn't have the straight teeth and attractive, healthy smile that you desire. For more information about Invisalign® and the associated treatment cost specific to your case, contact our Manhattan-area dental practice. A knowledgeable representative will be available to answer questions about Invisalign® treatment, or any other dental queries you may have.